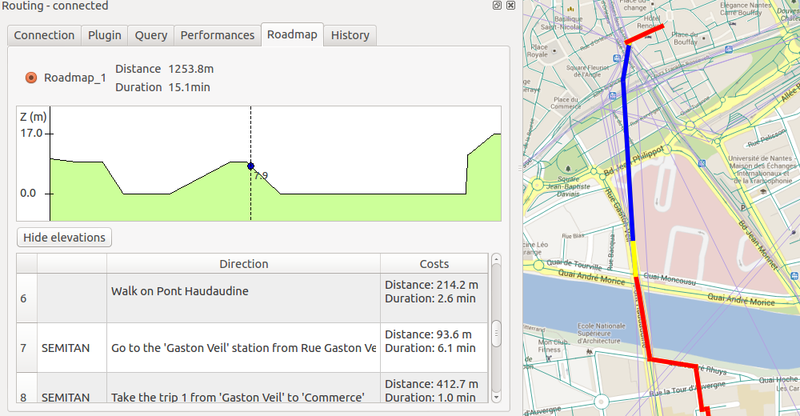 We are pleased to announce the release of a new version of our route planning framework: Tempus. Tempus is an Open Source C++/Python framework that allows to use, develop and test route planning algorithms with a particular focus on multimodal routing where every possible transport modes are taken into consideration for a trip: private cars, public transports, shared vehicules, bikes, etc. a new plugin that implements the **Contraction Hierarchies** algorithm on road newtorks. The contraction hierarchies algorithm allows to answer road itinerary requests very fast, thanks to an efficient preprocessing phase where shortcuts are added to the graph. In conjunction with the newly improved data structures, it is now possible to process requests on country or continental-sized networks. Tempus is on GitHub (https://github.com/Ifsttar/Tempus/releases/tag/v2.0.0), get it, fork it, PR it ! Developments are still going on to improve state-of-the-art algorithms. Please let us know if you are interested in development, training or consulting around these pieces of technology. Do not hesitate to contact us at infos@oslandia.com .